RFID for Warehousing | Taylor Data Systems, Inc.
Is RFID the right choice for my warehouse? In order to determine whether or not RFID is right for your environment, the first step is to understand what RFID is and what it can do for you. In a nutshell, RFID (Radio Frequency Identification) technology operates in a similar way to barcode technology. RFID automatically captures and stores data on virtually anything – inventory, finished goods, company assets, and more. The only difference is that it uses RFID tags, instead of barcodes, that house small microchips and antennas to collect and contain data. 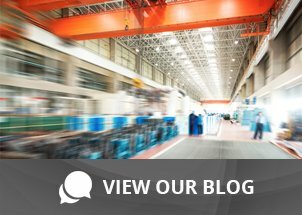 There are a lot of trends in the market today that enhance worker productivity and improve operating efficiency, but it’s not a one-size-fits-all proposition when it comes to RFID in the warehouse. In some cases, the cost of implementing an RFID solution may be prohibitive based on the amount of inventory being carried and the number of warehouse locations you have. A small, single warehouse with a limited variety of items would probably be better suited for barcode automation, whereas a warehouse or single distribution center that carries inventory that is largely moved with a forklift, might be better served with RFID. The beauty of RFID is that information on an entire pallet of goods can be collected at once if each item has a tag on it; where as with a barcode application each item would need to be scanned. And if the process was manual, it would take much longer and be prone to error. 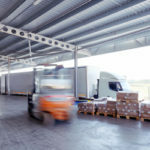 For items that are constantly on the move, like rental equipment or service tools, RFID can record the check-in and check-out time, the person associated with the equipment, etc. This is a much more efficient way of keeping tabs on company assets and costly goods. Palletized product can be difficult to effectively process if there is a mix of items on each pallet. The chances of an item not getting recorded by a barcode scanner are great if there are a lot of products on the pallet. In addition, the barcode label must be facing the worker in order to be scanned, which can take up more time on the task if items need to be moved around to scan them; this is also where the process is most vulnerable to errors. With RFID tags, the portal can read tags from a distance – no matter how they are oriented on the inventory item. This offers more flexibility in terms of handling boxes and palletized loads. It also improves location accuracy and reduces picking time, which gives workers a boost in productivity. Inventory items that are highly valuable – or desirable – are vulnerable to theft. This includes employee theft as well. With RFID, the reader automatically tracks the movement of items that contain an RFID tag. So well-placed portals will easily track any items that are leaving a secure area. It also records the date and time, so it’s much easier to narrow down when the theft took place. Consider RFID technology as somewhat of a theft deterrent; particularly for internal theft. This added bit of security keeps margins high and shrinkage low! Increases safety – particularly for forklift operators. No need to get off the vehicle to scan pallets or other inventory items. Improves productivity – Hands-free workers are not only safer, but they are more productive when they can move swiftly through a task without having to repeatedly scan or hold a mobile device. Inventory accuracy – With RFID items are automatically tracked as they move through the warehouse, making it easier for personnel to locate items for order fulfillment. Cost savings – Errors reduce, items are easier to find – even if they’re in the wrong inventory location; and opportunity for theft is greatly reduced. For more benefits, refer to our previous RFID blog.